Zephaniah’s message of judgment on Judah and the Gentile nations around her places him squarely in the prophetic tradition. And yet Zephaniah has one interesting distinction: he tells the reader more about himself and his ancestry than any other prophet. His genealogy in 1:1 reveals Zephaniah to be a fourthgeneration descendant of King Hezekiah, one of Judah’s righteous kings (see 2 Kings 18). Thus Zephaniah was of the royal line, possibly a resident of Jerusalem. The prophet’s deep concern for Judah’s holiness is evident in his stern denunciations of the people’s sins, and his impassioned call for repentance. It also needs to be noted that Zephaniah prophesied “during the reign of Josiah son of Amon king of Judah.” Josiah (2 Kings 22) was the youthful king under whose leadership Judah experienced an amazing reformation as the Temple in Jerusalem was repaired after many years of neglect. More importantly, Josiah instituted spiritual reform when the high priest Hilkiah reported, “I have found the Book of the Law in the temple of the LORD” (2 Kings 22:8). 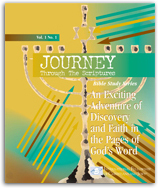 This discovery of the Torah and its subsequent reading led to a restoration of true worship in Judah. Prior to Josiah’s reign, the nation had experienced many years of spiritual decay and idolatry. Zephaniah’s prophecy may reflect those awful days—especially if he ministered in the early years of Josiah’s reign, before he instituted his reforms, which many Bible scholars believe was the case. Why did Zephaniah begin his prophecy in 1:2–3 with a statement of God’s judgment on the physical creation? How is Zephaniah’s royalty reflected in the prophecy of 1:8? Why did God warn the people through Zephaniah that He would “search Jerusalem with lamps” (1:12) on the day of His judgment? In one important sense, God is still searching the earth with lamps, as it were, seeking for those who will be faithful to Him. We do well to recall this declaration of God’s desire for faithfulness on the part of those who follow Him:“The eyes of the LORD range throughout the earth to strengthen those whose hearts are fully committed to him” (2 Chronicles 16:9).